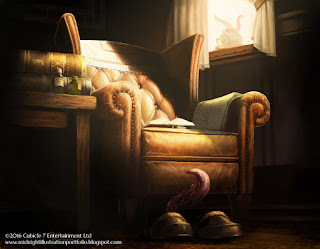 MidnightIllustration Sketch Blog - The Art of Sam Manley: Cthulhu Tales Stuff! 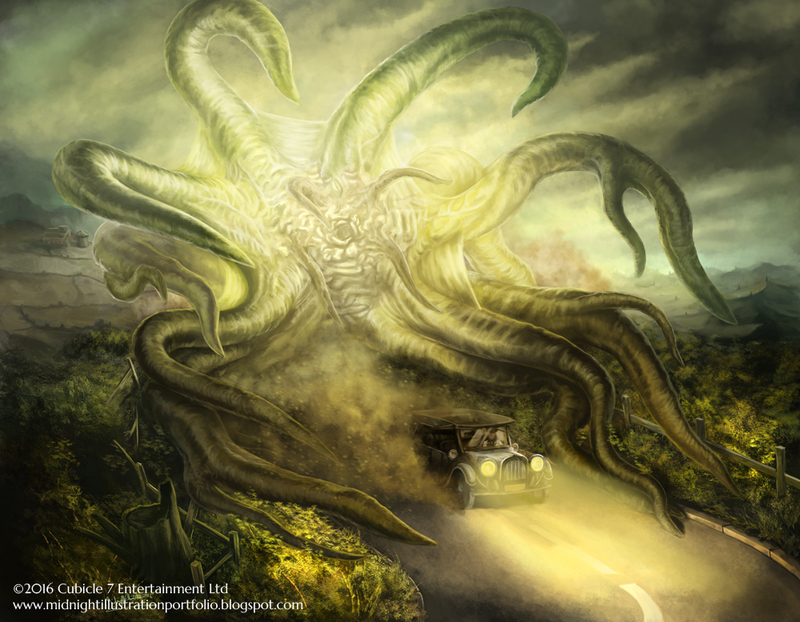 One of things I love about the Cthulhu Tales project is just how much scope there is for artistic expression. I love designing costumes and armour and painting adventurers and battles and all those moments of high drama (see the middle pic - that driver's scared as hell! ), but it's not overly common in this industry to have many opportunities to paint the softer things - perhaps the play of the light across a room, or maybe having time to really get into the colour and tonal shifts across skin. I think the key word, for me at least, is narrative. How do you tell the subtle stories in a picture? Aside from the obvious focus of the painting, what else in the little framed world of this picture is weaving some kind of story, if you look for it? Is it overt (say, objects visible that give clues to the inhabitants of this location, or hint at events and people beyond what you see), or is it just a suggestion (eg the top picture - whose hand is that? 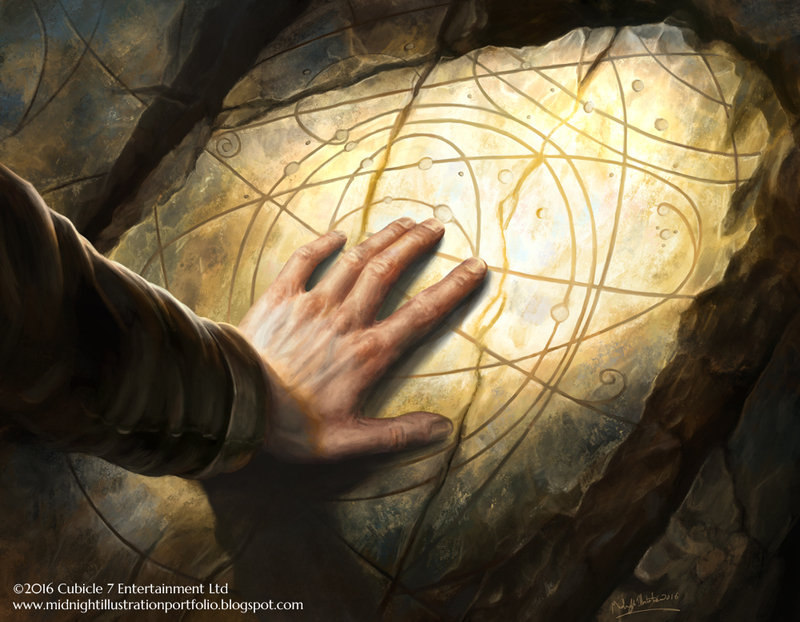 That he's not just looking at but touching the rock implies he's feeling emotions, but what is their character? Where is he, and at what time of day, that this lighting is occuring?) ? I have fun thinking about these things, and while I know what kinds of stories come to life in my head I often wonder what kinds of fantastic tales come to life for other people. I should stop wondering right now, though - there's another picture to paint.